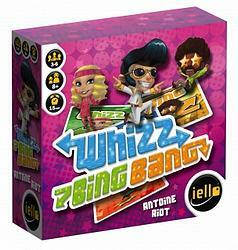 •Whizz: Game play continues in the same direction. •Bing: Game play reverses direction. •Bang: Game play continues in the same direction, but skips the next player. •Boom: Everyone must slap and leave their hand on the Boom while saying "BOOM! ".